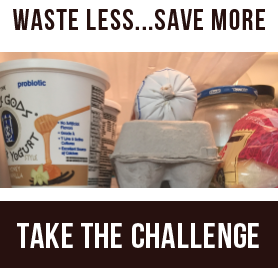 If there’s a mantra to wasting less food, it would be “eat what you buy.” This involves being mindful of leftovers and ingredients that are in danger of spoiling soon. It sounds simple, but we all know how easy it is to lose track of that last serving of lasagna or a half-eaten tub of sour cream. 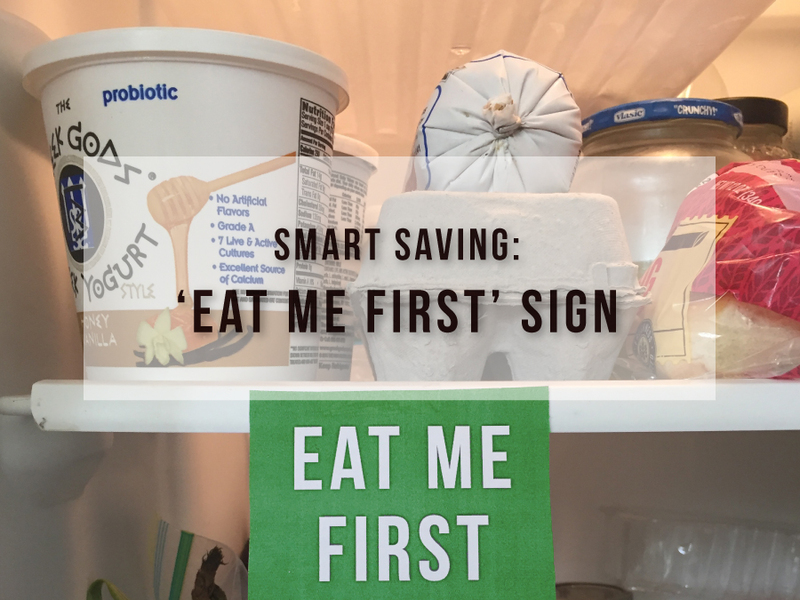 One way to keep food that needs to be eaten soon top-of-mind is to designate a special area in your refrigerator to keep those items. 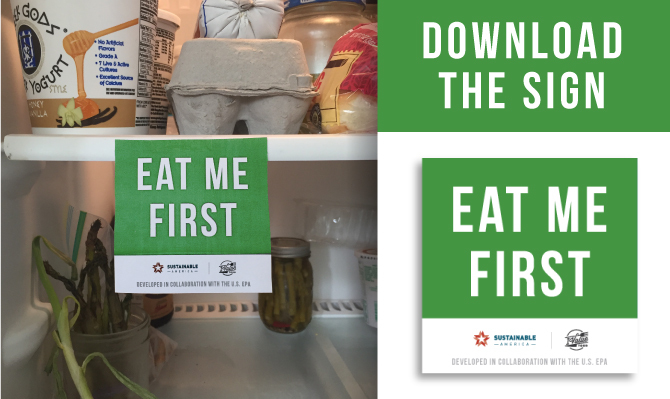 Use this downloadable “Eat Me First” sign to label a bin or shelf in your fridge. That way, every member of the family will know where to look first when it’s time to cook or eat.